Michele Nami- Von Hoven will team with Brian Tracy and several leading experts from various industries to release the new book, “Ignite Your Life: The World’s Leading Entrepreneurs and Professionals Reveal Their Secrets to Ignite Your Health Wealth and Success” by CelebrityPress. Orlando, FL – May 12, 2016 – Michele Von Hoven has joined Brian Tracy and a select group of experts and professionals to co-write the forthcoming book titled, Ignite Your Life: The World’s Leading Entrepreneurs and Professionals Reveal Their Secrets to Ignite Your Health, Wealth and Success. Nick Nanton, Esq. along with business partner, JW Dicks, Esq., the leading agents to Celebrity Experts® worldwide, recently signed a publishing deal with each of these authors to contribute their expertise to the book, which will be released under their CelebrityPress™ imprint. Ignite Your Life is tentatively scheduled for release in summer 2016. Michele is very passionate about helping people ignite their life to wealth and success. For over twenty-five years, she has transformed lives by turning people’s dreams and goals into reality. She began her financial planning journey preparing hundreds of tax returns a year and saw her clients’ hard earned money was becoming eroded by income taxes and low-earning interest. She searched for alternative ways to keep more of her clients’ money and investment earnings and increase their purchasing power. Michele has been a contributor to television and radio. She sat on many boards acting as president of several business associations and, for seven years, worked as Director of the Financial Planning Association (FPA) . She served as Advisor on the National World War II Museum Charitable Gifting Committee and was a contributor to the Financial Planning Process Advisory Board in Italy – the process was then adopted by the European Union. She lobbied with great success for IRA reform to increase IRA contributions and equality for spousal benefits in Washington, D.C. She is truly a holistic financial advocate. She holds the Investment Advisor Representative license Series 65 and has held Series 7, 6, 63,62 and 26 securities licenses. She has completed the Certified Financial Planner (CFP) program; enrolled in the Retirement Income Certified Planner (RICP) program and is an IRA Distribution Specialist. 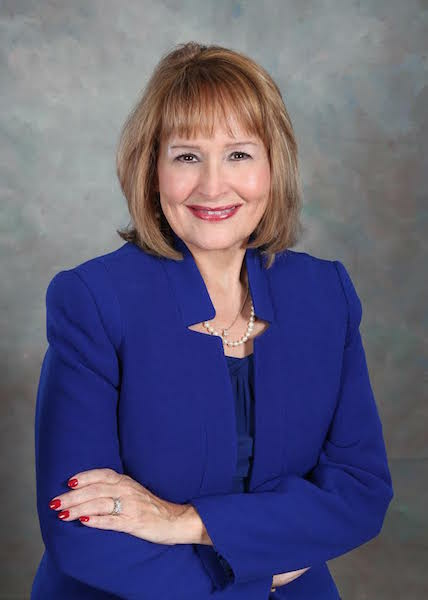 Michele believes that “You, too, can be fit financially and lessen your financial stress.” Whether starting a new career, a family or ready to live an abundant life in retirement, Michele has a deep understanding of the potential obstacles in the way of securing a financial future. She has developed a unique perspective on working through these difficulties to get her clients to there successfully. Michele has a way of reducing the complicated financial jargon gumbo into simple red beans and rice!